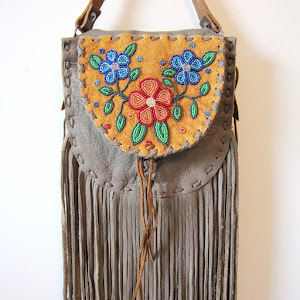 The exquisite and beautifully hand-crafted purses made by Nathalie Waldman are both raw and enchanting. 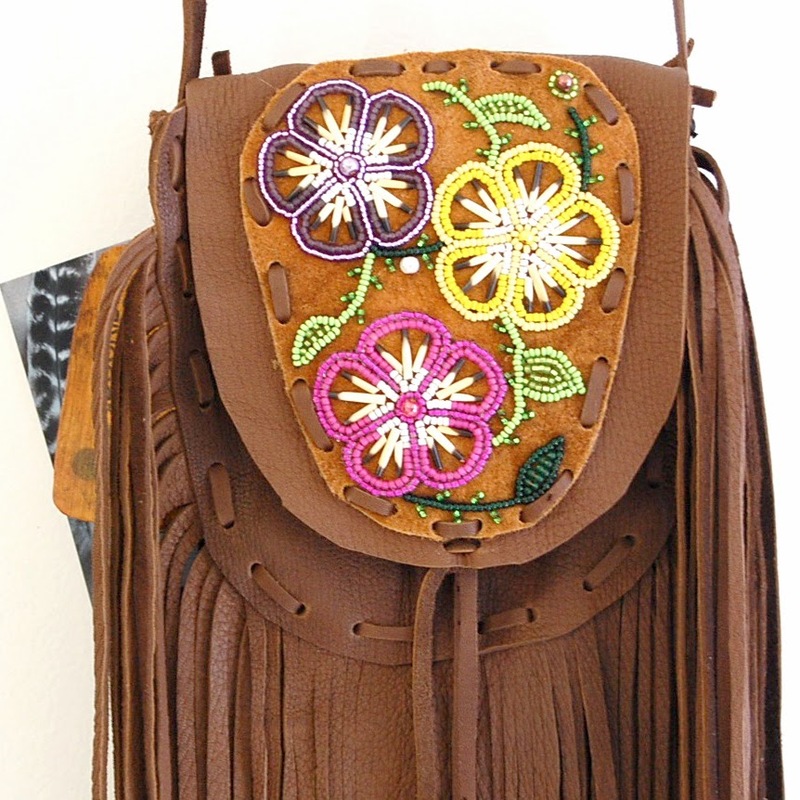 Nathalie is a member of the Dene First Nation Dogrib Tribe located in the Northwest Territories of the far north part of Canada, and her Native American heritage informs her artistic techniques and inspires the bags she creates. 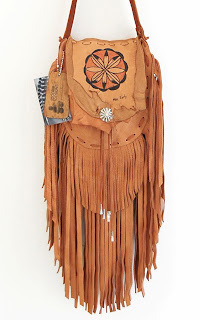 She selects natural hide and leather that exhibits character – pieces that reference nature and its gifts. Her purses range in size, color, and personality. 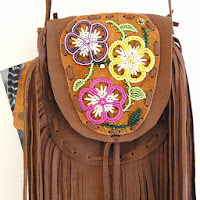 Some are embellished with long flowing fringes, beaded rosettes, or fasteners made of silver, bone, and shell. They come in colors ranging from very bold (hot pink, turquoise, and purple), to more subdued or natural hues (such as tan, white, brown, and black). Each bag is constructed by hand by Waldman so each is unique and slightly different, and all are produced in limited quantity. 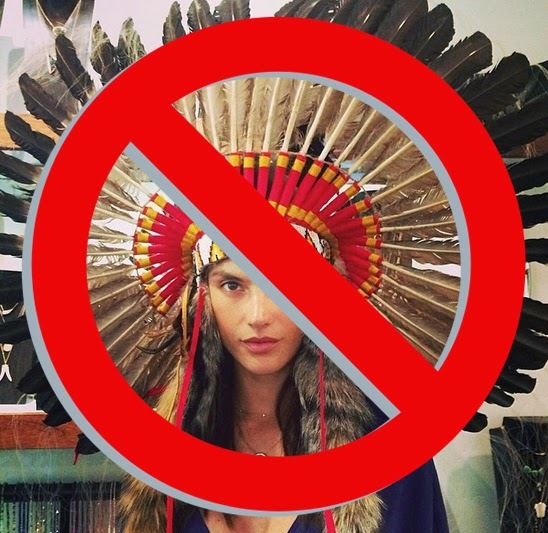 While she predominantly works alone, she has also collaborated with other Native American artists. 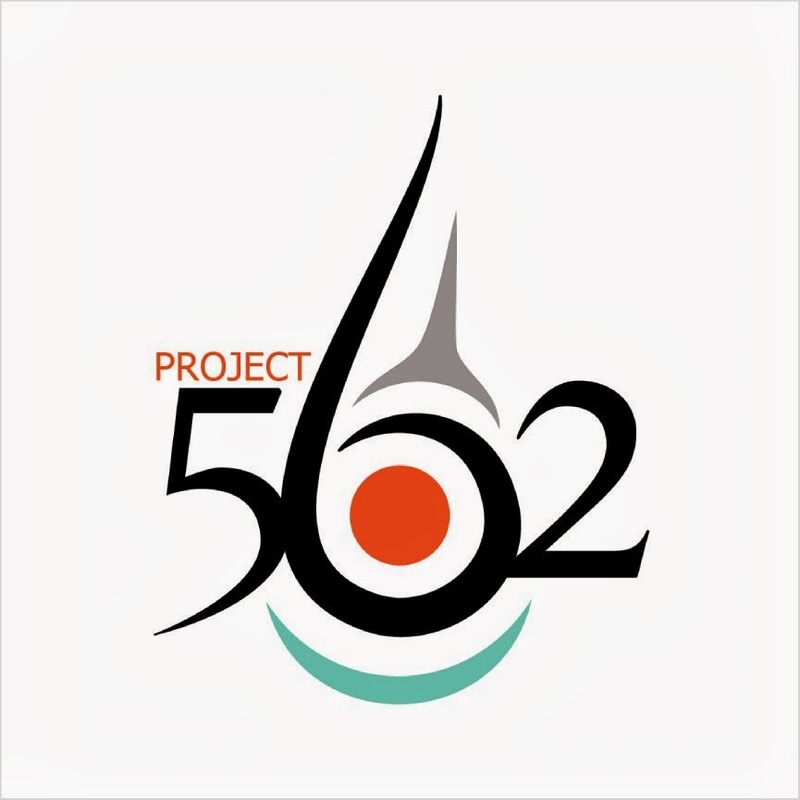 For example, she recently worked with Pueblo potter, Max Early, who was born into the Turkey Clan of his mother and Bear Clan of his father at Laguna Pueblo. Max’s style maintains traditional Laguna design symbols and compositions. The bags they produced feature one-of-a-kind paintings by Max. 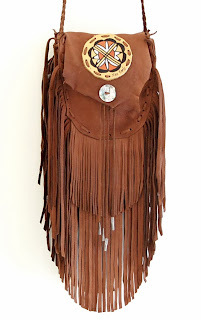 The bags are also embellished with long flowing fringes and silver conchos. Nathalie is based out of Santa Fe, New Mexico, and she launched her first full collection at the 2010 Santa Fe Indian Market. 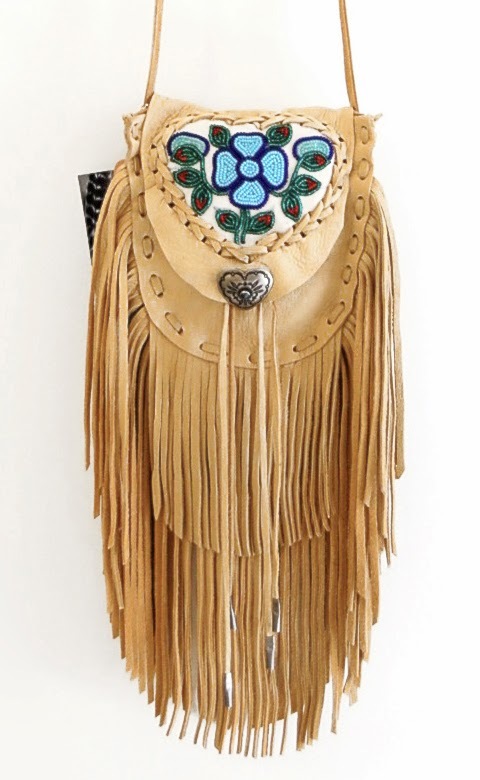 You can find her work online at the Beyond Buckskin Boutique by clicking here.